New! 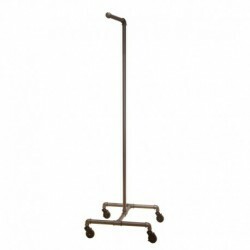 Industrial Pipe Racks are the latest trend to hit the retail industry! These racks were designed with the urban style in mind with their realistic heavy gauge connectors and faucet type handles for height adjustment. 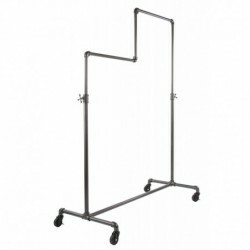 All racks come with heavy duty casters for portability and blackened pipe grey finish for a retro look and feel. 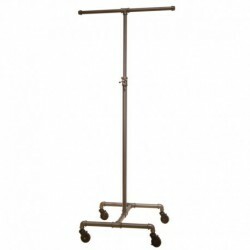 Single bar pipe clothing rack with casters for retail stores. 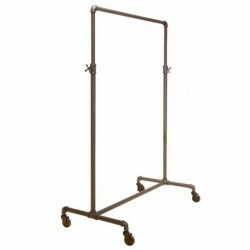 Single bar rolling clothing rack made of plumbers pipes and connectors for an industrial grade, heavy duty clothes rack. Double arm clothing rack made from industrial plumbers pipes and connectors for a unique look for any retail store or boutique.